My kids asked for quesadillas for lunch today and I was happy to make them since they are fast and easy! I packed two slices of cheese quesadilla with a small gingerbread man quesadilla on top. I decorated the gingerbread man with cheese but it melted too fast so I added more cheese cut outs to make them stand out more. Also packed are pretzel rings and popcorn which reminded us of Christmas Tree decorations :) As always the kids also packed ice water and yogurt drinks. 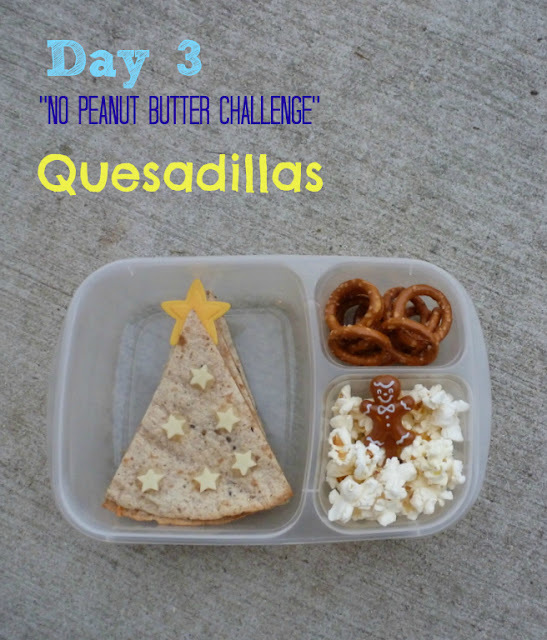 I also made a Christmas tree quesadilla lunch. It has four quesadilla slices and the top slice is decorated with cheese stars and a star cupcake topper. They also have sour cream and salsa in Mini Dippers packed separately and popcorn and pretzel rings as well as ice water and yogurt drinks. 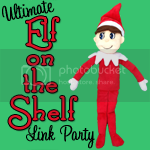 And if you love the Elf on the Shelf stop by my Ultimate Elf on the Shelf Link Party!